Reserve your seat for the 34th Annual Scholarship Event Gala Sunday, May 5th at the Goleta Valley Center. 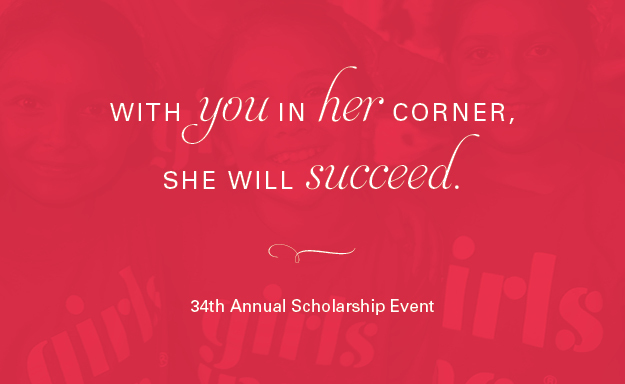 Make it a Strong, Smart, and Bold Summer at Girls Inc.! 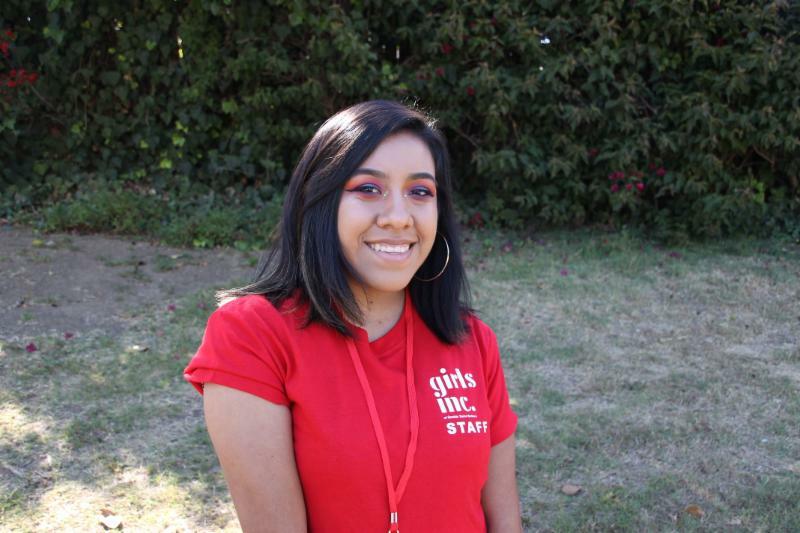 Suzette: Girls Inc. made me feel like I mattered.
" 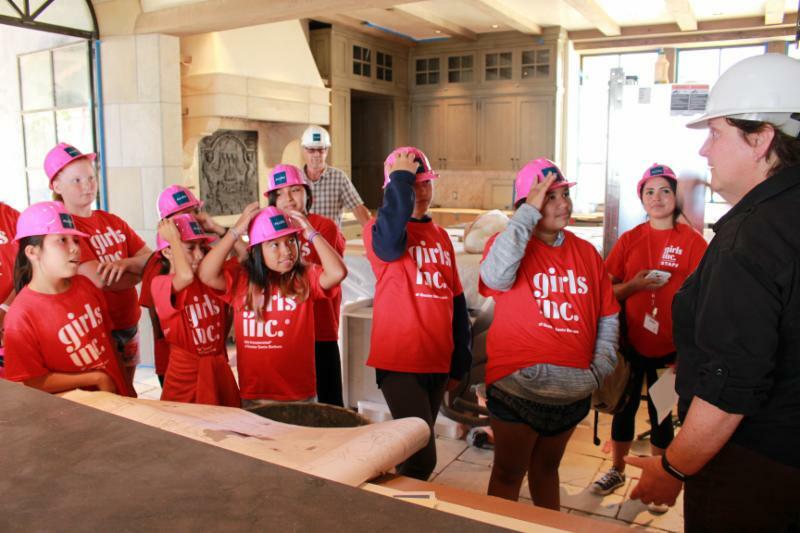 I remember being able to walk into Girls Inc. and feeling confident, like I could be myself without being judged..."
Six Girls Inc. teens combined their interests in technology and design with their creativity at Moxi's week-long Innovation Workshop on acoustical engineering. 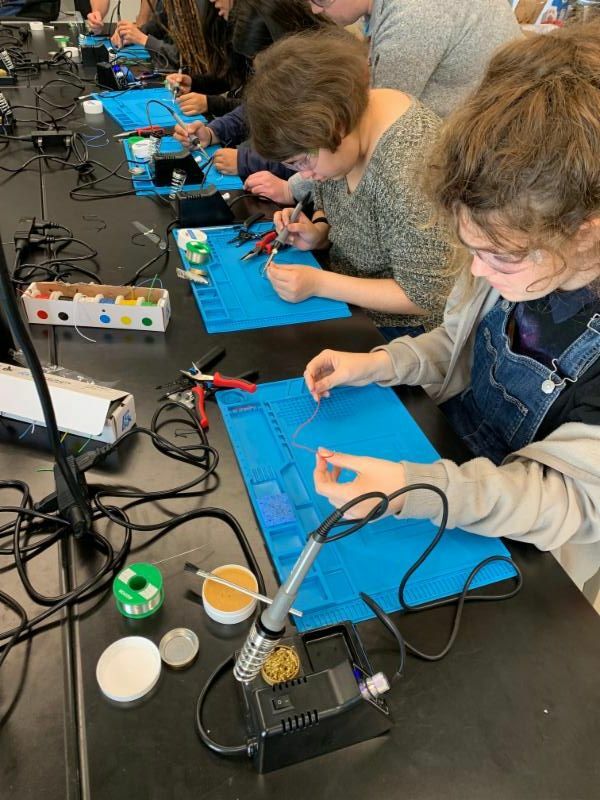 The teens used laser cutters, 3-D printers and soldering equipment to make their own speakers. The workshop was generously supported by Sonos. "I like that the Moxi staff trusted us with the materials and that they let us experiment by ourselves." "I am really grateful that I had the chance to be a part of this amazing experience and to do something that I didn’t know I was capable of doing." 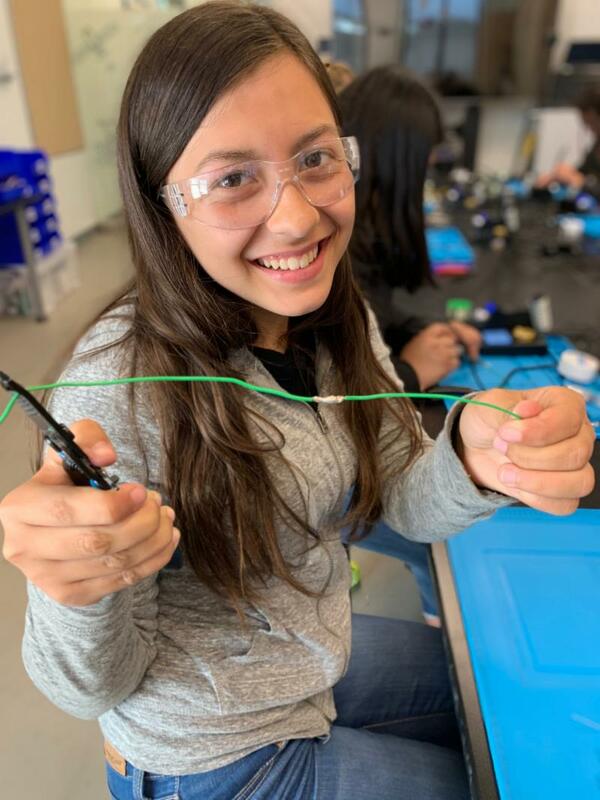 "I like that I gained a new skill learning how to solder metal! And now I know how a speaker works. I enjoyed myself at the workshop because I love learning. The people are cool." Our Meditation Through Art class helps girls express their emotions in a healthy and safe way. 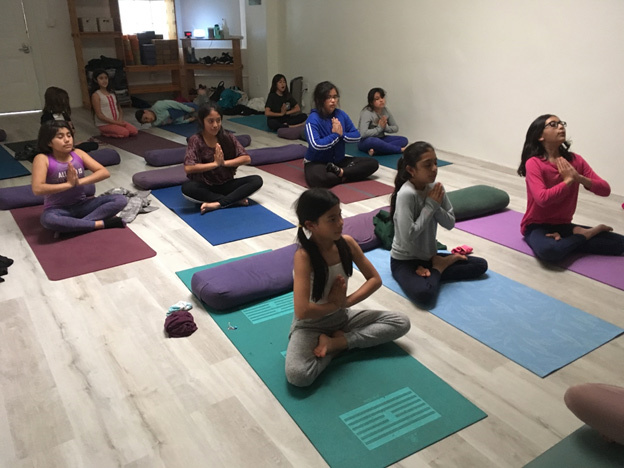 The class visited Divinitree Yoga for a mindful meditation session where they practiced guided breathing techniques and yoga poses to help focus and calm their minds. 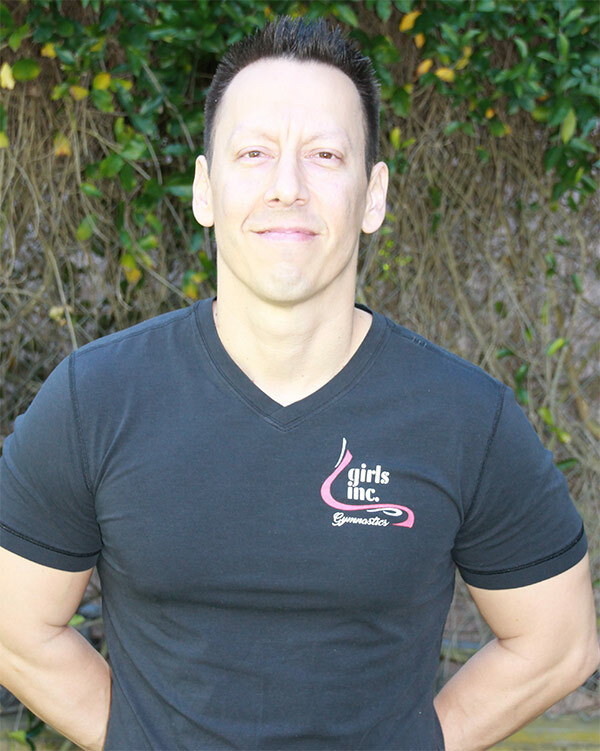 After nearly nine years of coaching with Girls Inc. Gymnastics, Head Coach Shelby Hallford is leaving to pursue her career in finance. 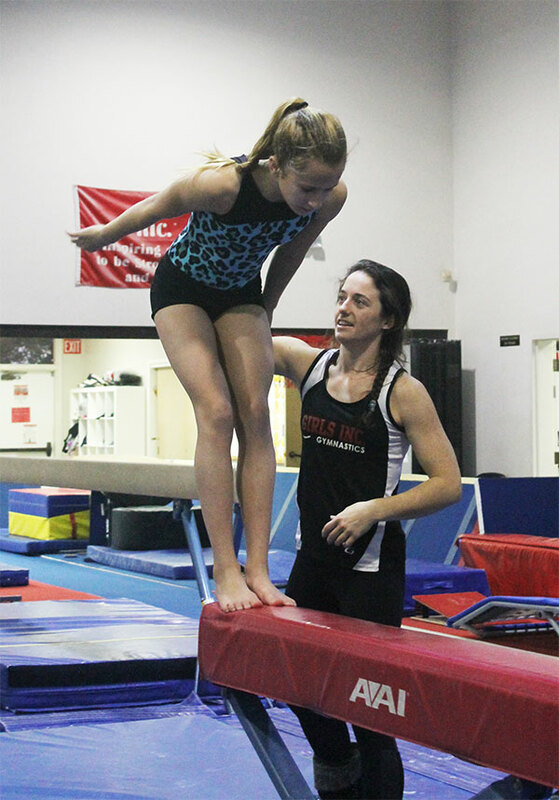 We are so grateful for Shelby’s dedication to our gymnasts and for her leadership, which helped grow the competitive team program. Good luck, Shelby!
" I can’t say enough how much I’ll miss this team. I am so excited to do big things, but the girls will always hold a special place in my heart. " "Set high expectations; be ready and willing to work towards your goals, even on the hard days." 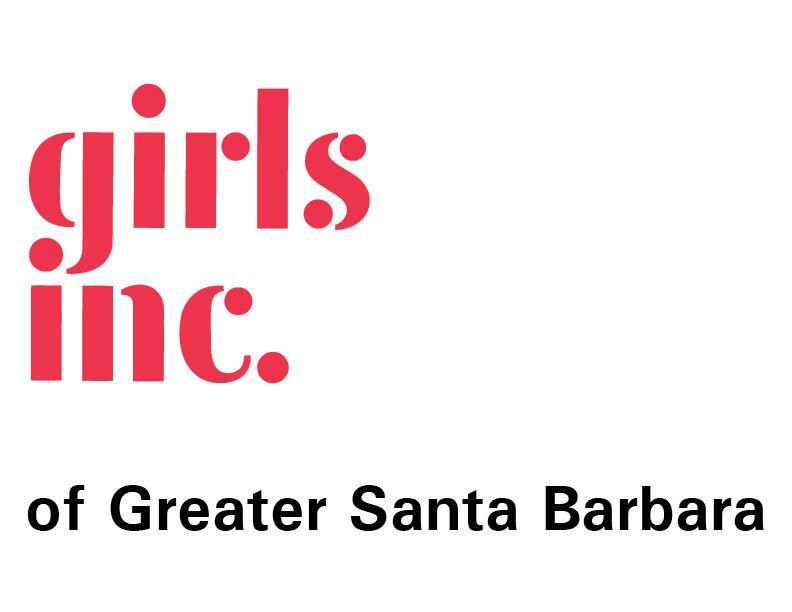 Guest host, KEYT's Beth Farnsworth, will lead a lively conversation with current and former Girls Inc. girls. ...a Smart, Strong, & Bold Future! 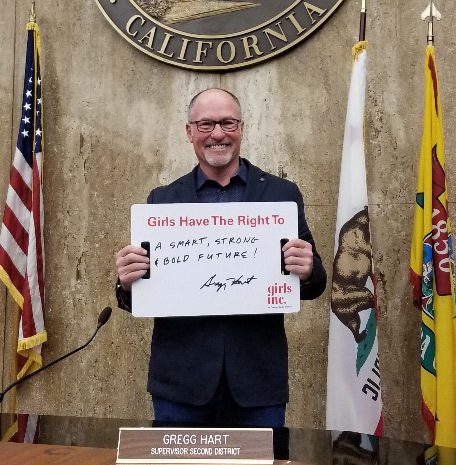 Thank you Gregg Hart, Second District Supervisor, for affirming girls' rights in our community.